There’s something about the smell of orange that just makes me feel… awake. It’s Christmas.. which usually means buying last minute Christmas presents (or perhaps that’s just me?) 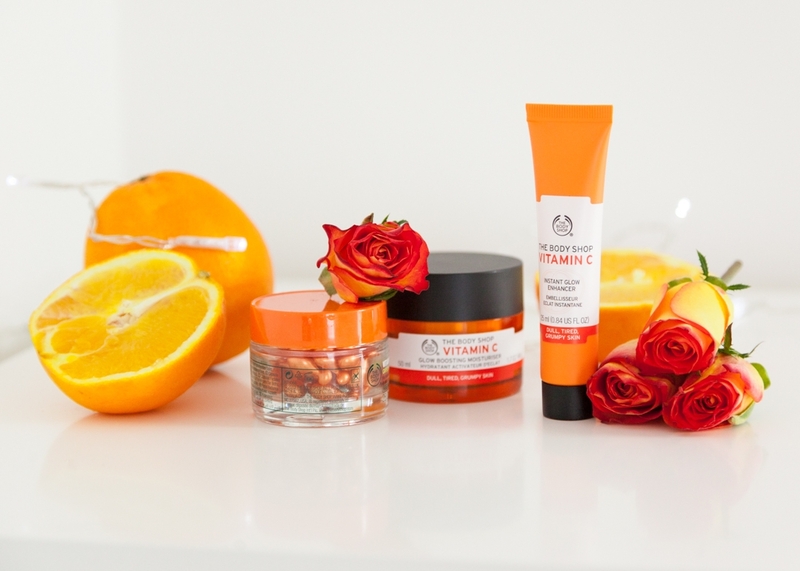 Anyway, I love The Body Shop and this range of Vitamin C products deserved a little space on Tiny Twisst. I even brought some oranges and searched Tesco for some orange flowers.. these were all I could find (If you squint they look slightly more orange, anyway!) I was also asked to be involved in The Body Shop 24 Days of Happiness Advent calendar, which opens on a new blogger’s blog post everyday. I love the interactive concept of this, so here is my day, and my favourite pieces from the range. 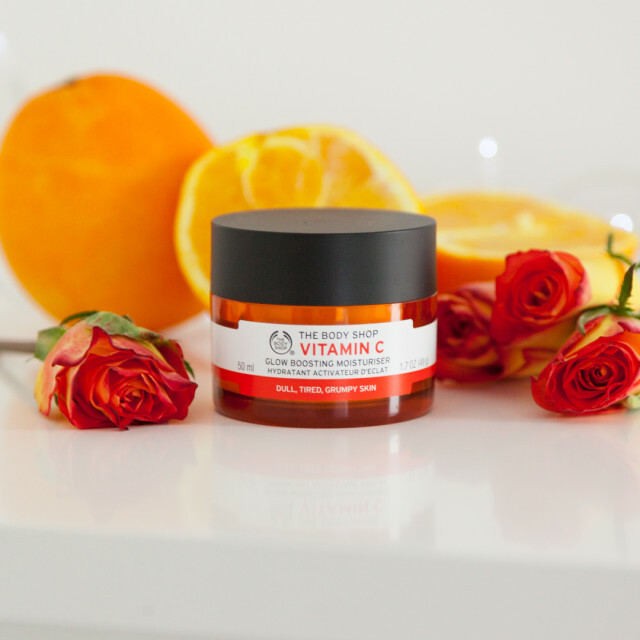 So we have the Instant Glow Enhancer – this revitalises skin with a fresh rosy tint, and leaves it feeling softer and silkier. 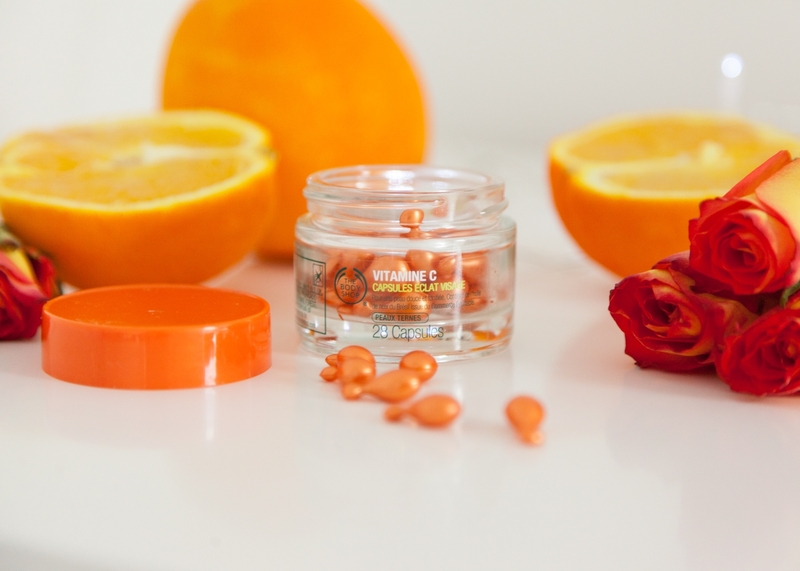 The Facial Radiance Capsules – Smooths and revive skin’s appearance to enhance natural glow, perfect for dull skin. These are really simple to use, twist one end of the capsule and hey presto! Apply once every night, in this jar you have a whole months worth too. 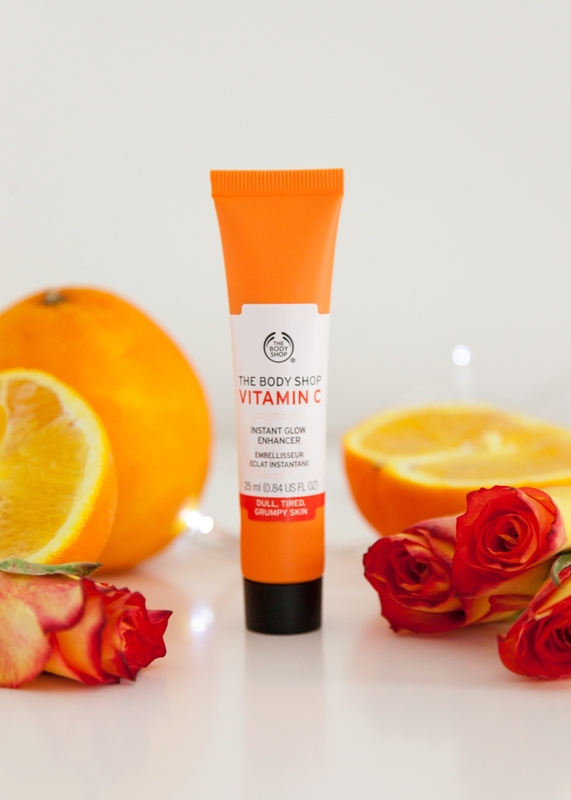 Lastly, the Boosting Moisturiser – This helps to energise. It’s fresh and lightweight formula fights signs of fatigue and smells so. good.